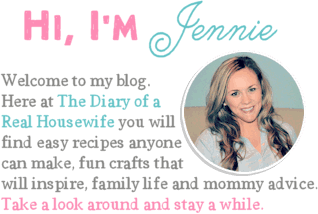 Are you ready to get organized, save money, and provide awesome meals for your family each day? 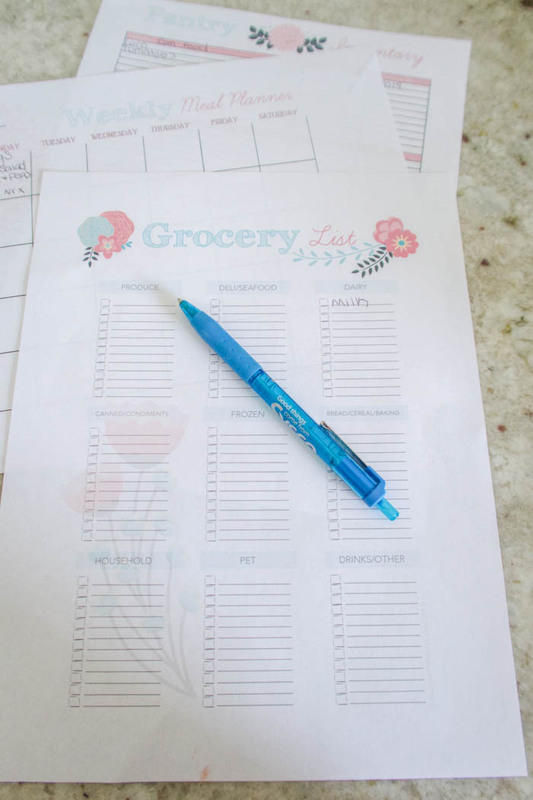 I’m glad you stopped by today and hope that these Free Meal Planning Printable will do all those things for you. For me having a plan changed my entire grocery shopping experience. 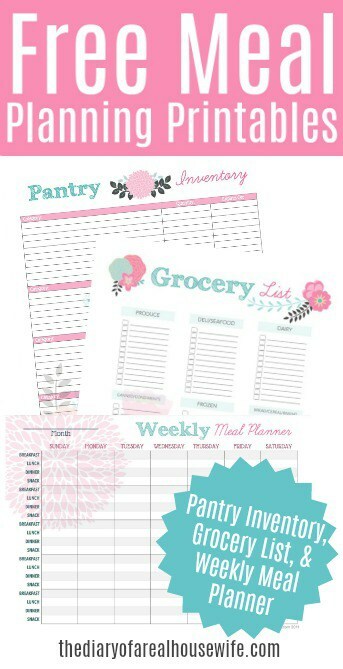 I am now able to plan our meals and go to the store one time. It has saved me money and time. I have three printables for you that changed the way I shopped. When you are getting ready to plan a trip to the store I always start in the pantry. I want to find out what I have right now. This way I can plan meals around what I already have and also don’t get up buying things I don’t need. I like to keep my Pantry Inventory print out taped up in my pantry and I can fill in and cross out as I go. It even included a place for expiration dates to make sure you have no waste. Next I move on to the Weekly Meal Plan print. Once I know what I have I can pick meals ideas around that. 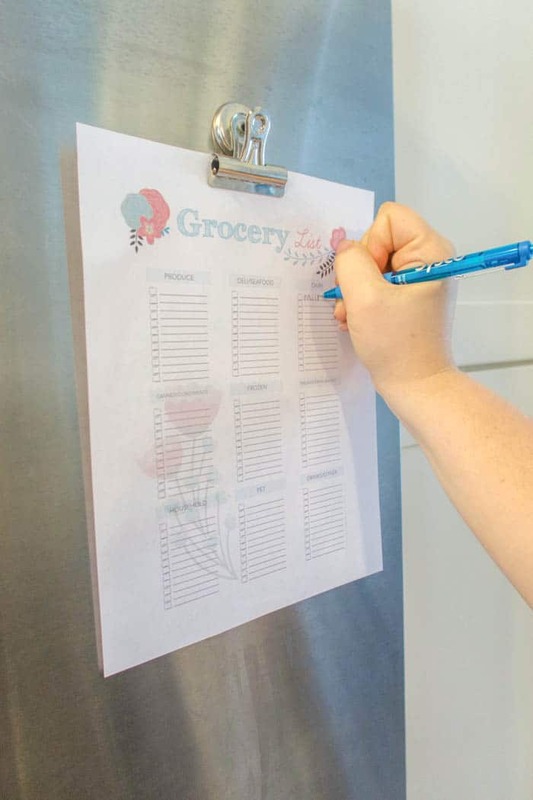 In this printable we included breakfast, lunch, dinner, and snack. I used to just plan dinner but never had enough for other meals. Even it’s a simple eggs and toast I know I’ll need it so I can grab it when I’m at the store that one time. With kids home I always need to be thinking about snacks so having this on the menu was a must for me. Last I get my Grocery List ready. I fill it out with everything I need for my meals that week. I also like to leave this hanging on my fridge for when I run out of the staple items. We also broke it down on the list so when shopping you don’t forget an item and back track. Everything has a place on this list! 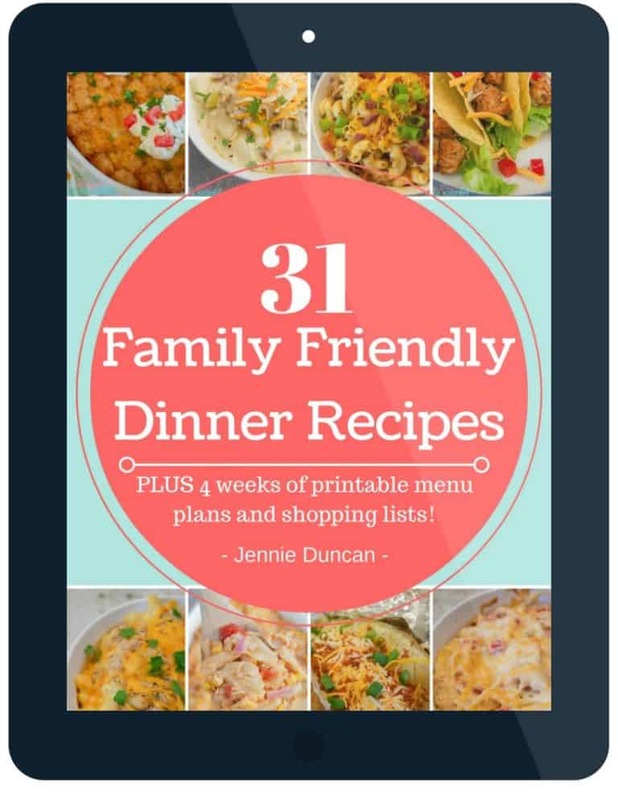 Join us and sign up for our free newsletter and receive your meal planning printable straight to your inbox! Wanna share the love? Pin this!